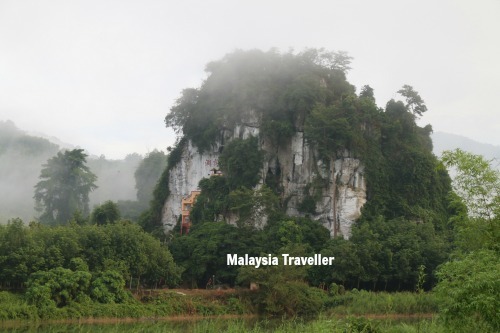 Pulai Princess Cave is located in a limestone karst tower called Princess Hill at the village of Pulai, some 8 km from Gua Musang in Kelantan. The cave is also known as Zhi Xia Dong or Zi Xia Dong. 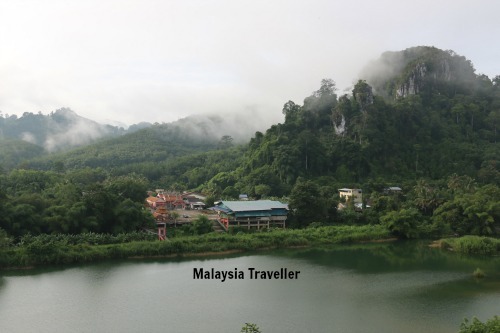 Kampung Pulai is an interesting little village surrounded by beautiful scenery with hills, rubber plantations and other agriculture. 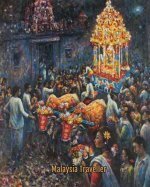 It was said to have been founded by Hakka Chinese over 600 years ago who came in search of alluvial gold. The gold deposits were exhausted more than 100 years ago and the settlers had to switch to agriculture to survive. 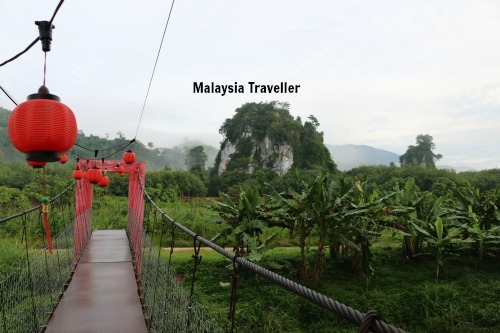 Pulai was remote and cut off from the outside world and, due to a lack of Chinese females, the early settlers inter-married with local Orang Asli women so many of the villagers have mixed blood heritage. Traditional Hakka culture was well preserved until the first tarmac road reached the village in 1978. 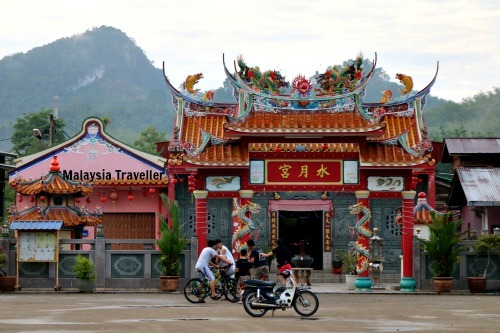 The temple in the village square is called the Water & Moon Temple and is thought to be one of the oldest in Malaysia although it has had a recent facelift. You can see Princess Hill easily from the village. To reach it you have to cross a river using a hanging bridge then walk for about 10 minutes through a rubber plantation to the other side of the lake. The entrance to Princess Cave is about 100 feet up and you have to walk up a flight of 150 concrete steps to enter the cave. 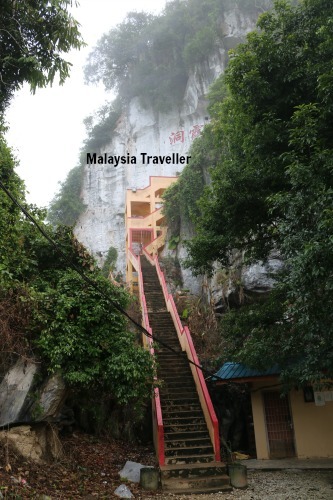 I arrived at 8 a.m. just as the metal grille at the top of the steps was being unlocked by the elderly caretaker. View of Kampung Pulai looking back from the cave entrance. The view from the top looking back at the village and the surrounding countryside is excellent. 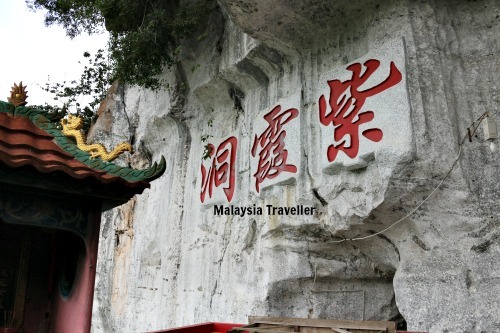 The name of the cave is carved into the cliff face above the entrance in red Chinese characters. 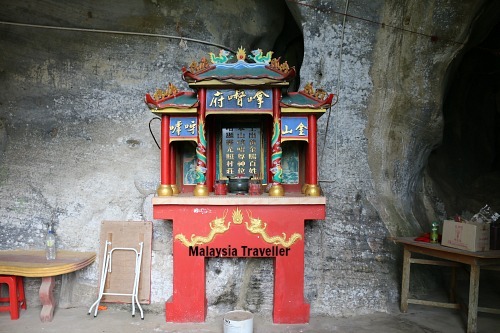 There are a few Chinese style shrines and altars within the cave area. 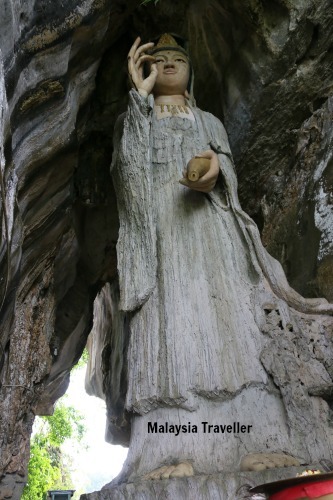 The main feature here is an impressive 12 m high statue of the Goddess Guan Yin which was carved from a large stalagmite by master Chinese craftsmen and completed in 2008. 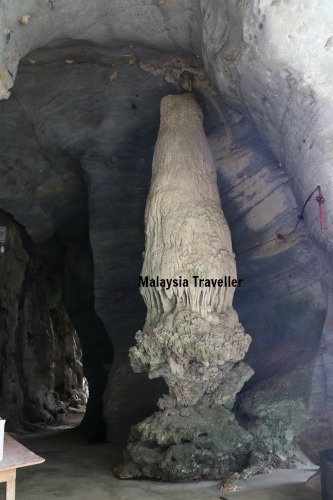 There is another similar size stalagmite in the cave which has been left in its natural state. 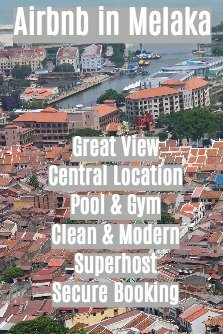 Opens at 8am daily. Probably closes at dusk. There are a couple of restaurants in the village where the local version of Hakka cuisine can be sampled.